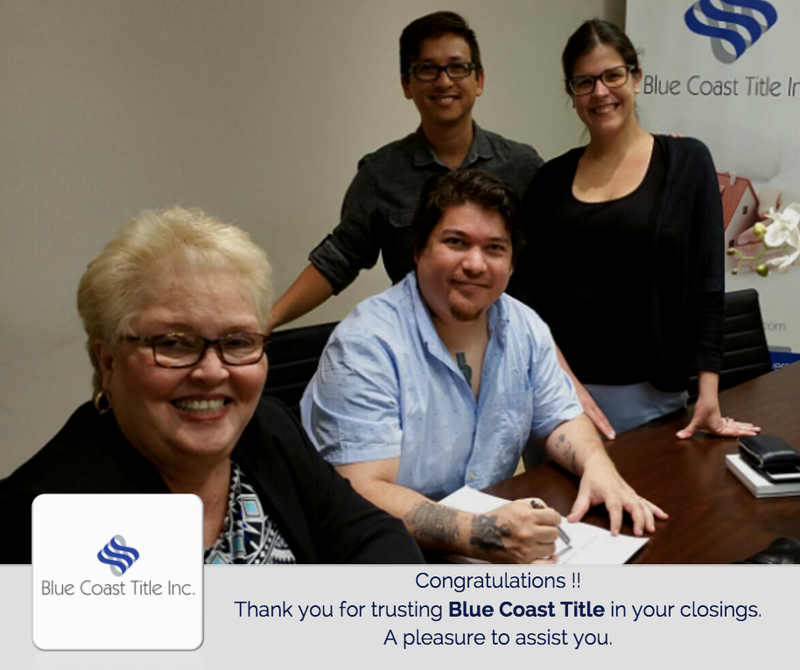 We come with decades of legal and title expertise and we’re here to help you navigate the Florida real estate market. 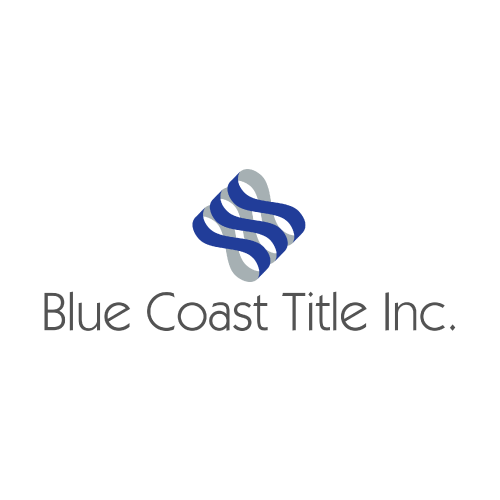 Blue Coast Title, Inc. Is a title agency that closes residential and commercial transactions throughout the State Florida. 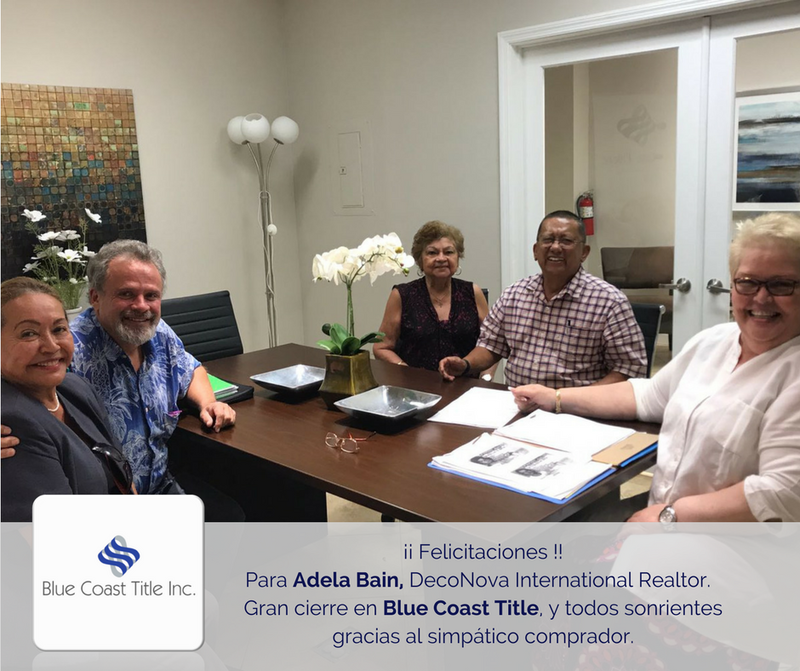 Among other types of transactions, we handle new home sales, re-sales, bank loans, refinances, acquisitions of land, apartment complexes, office buildings, gas stations, and shopping centers. 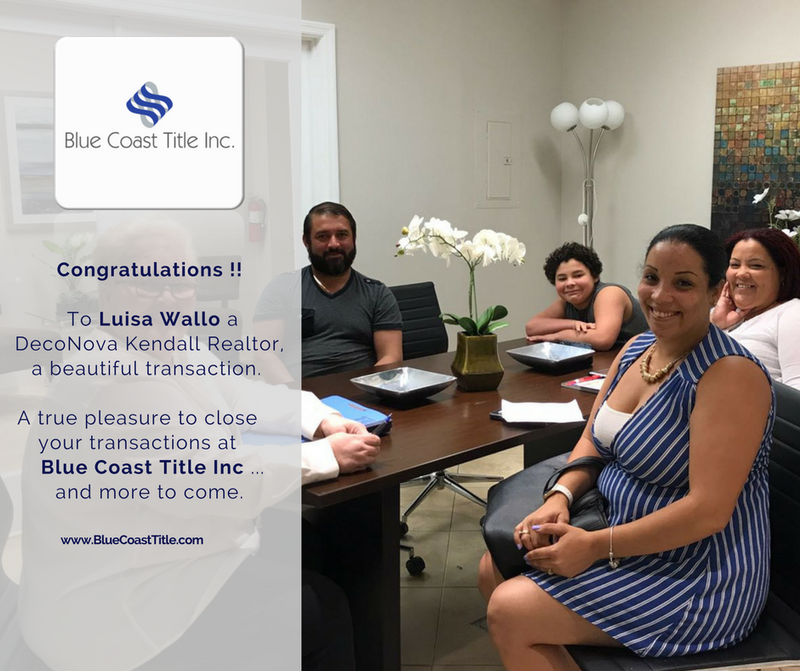 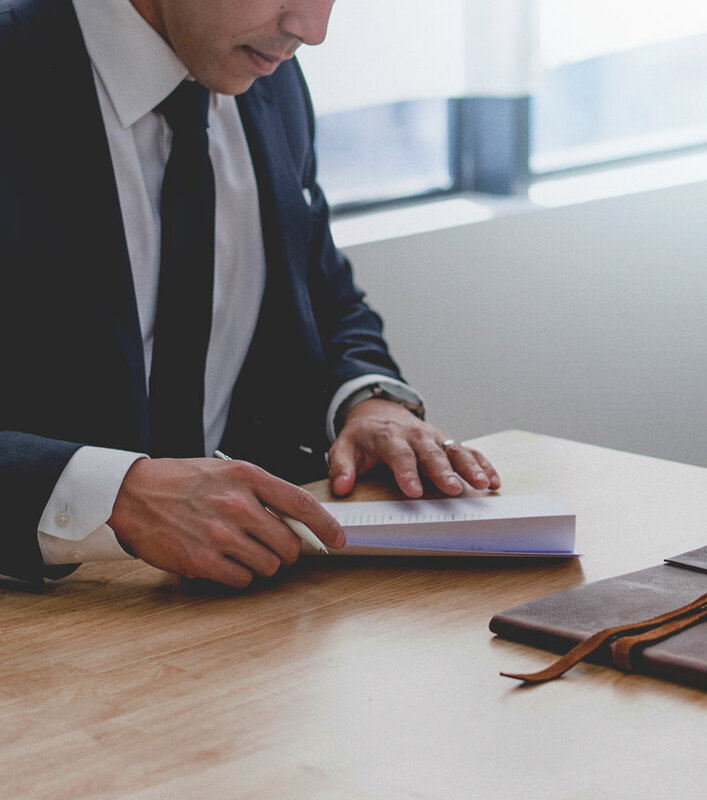 Blue Coast Title, Inc. conducts all aspects of real estate transactions including holding escrow, due diligence, title review, closing, and the issuance of title insurance policies. 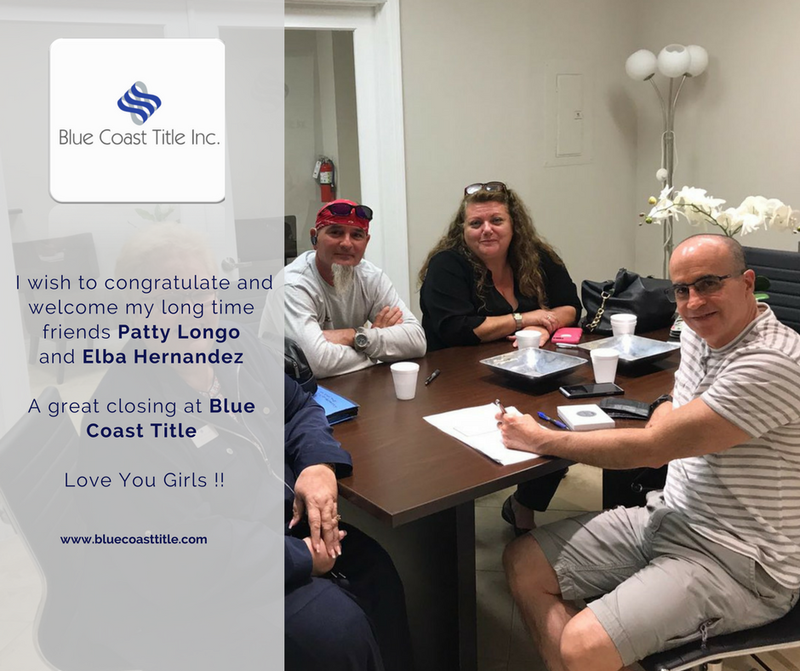 Each transaction is supervised by our licensed title agents with many years of experienced in the title industry and conducted by well trained staff. 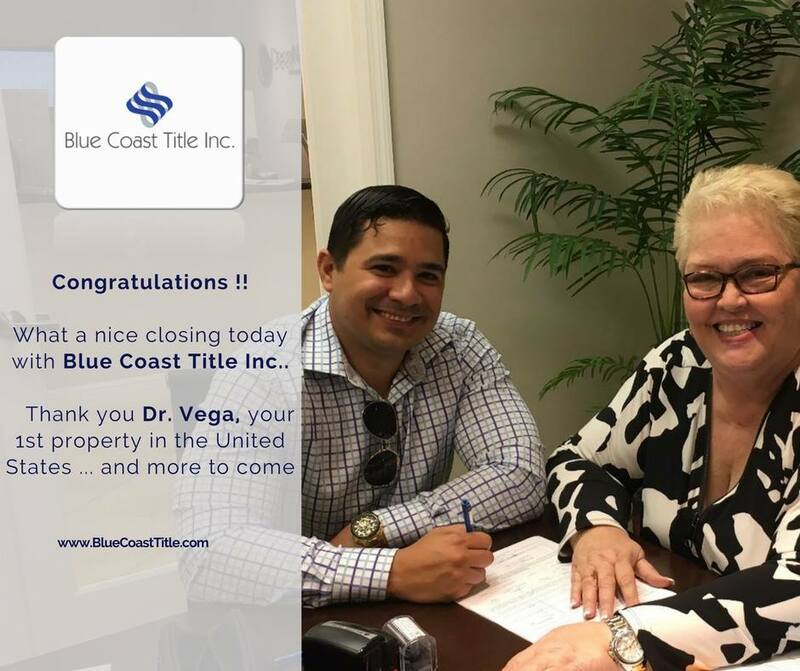 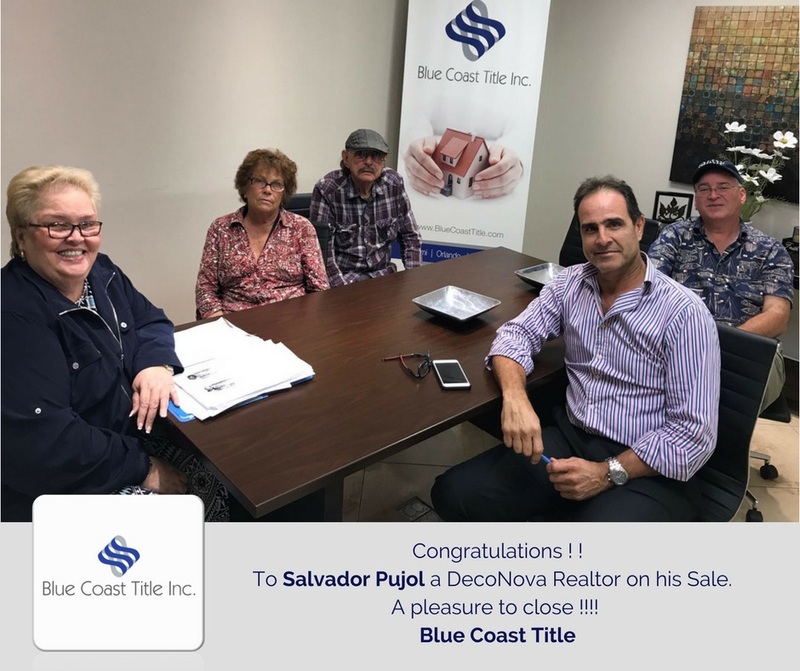 Blue Coast Title handles closings anywhere in the State of Florida and accommodates buyers and sellers closing transactions from the comfort of their own home or office. 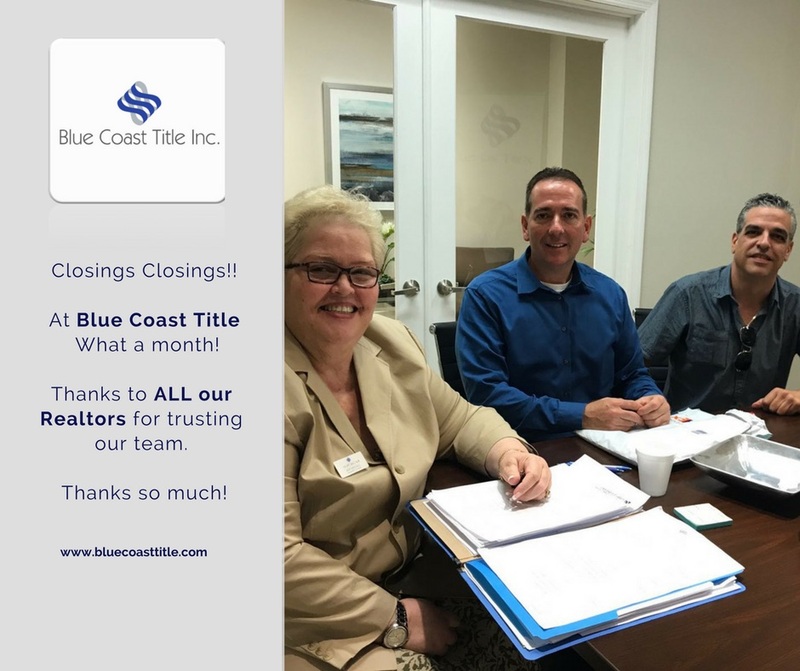 Contact us today at info@BlueCoastTitle.com to get more information on how we can act as escrow agent and provide great service on ALL real estate closings. 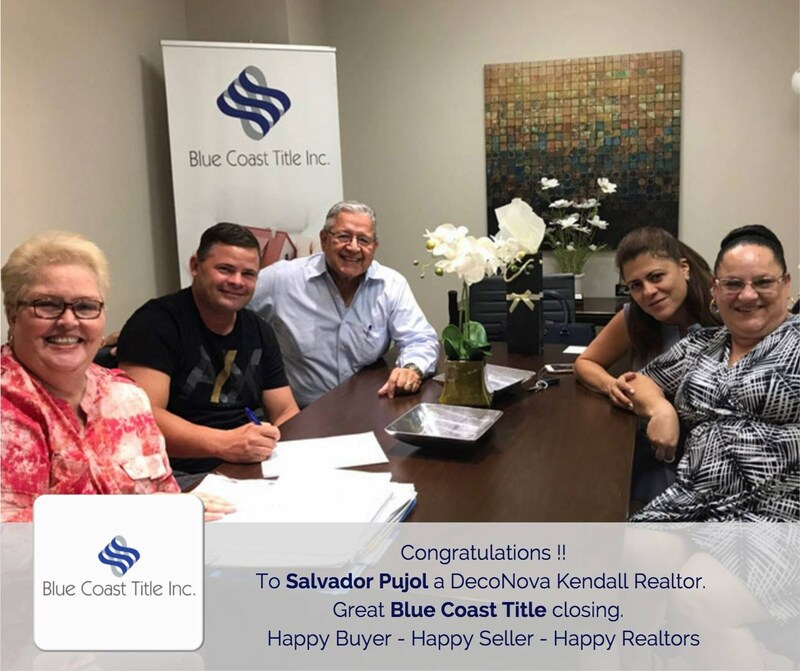 Thanks to All our Realtors for trusting our team.